Every Sunday in February I have been looking at the characteristics of Agape Love found in 1 Corinthians 13:4-8. You can check out the how this series began by reading my contributor's post, When Love Isn't Easy, over at Worshipful Living. 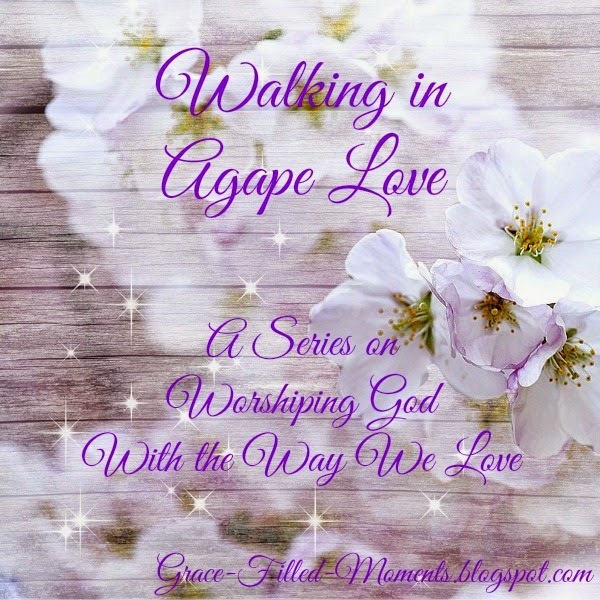 Today is the final post in my Walking in Agape Love series. 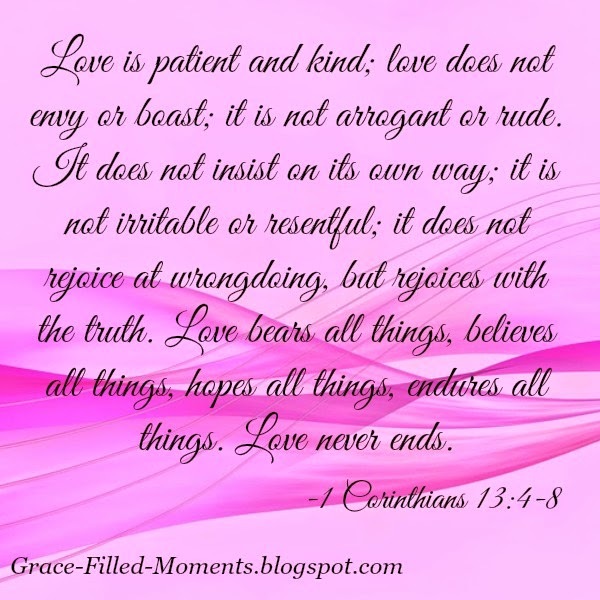 Agape love never ends as we see in verse 8 of 1 Corinthians 13. To understand this - love never ends - we must first understand that we are not talking about an emotional love like the kind you felt when you first got married or when you first began a dating relationship. Emotions change because they are often dependent on the circumstances and situations of our relationships. Agape love is not based on emotions - it is a different kind of love because it is God's love. God's love is perfect and it never ends. Agape love remains strong when difficulties arise in our marriages or in our relationships. It's no longer an emotion - it's a choice, a decision we make to love others because we ourselves have received the Agape love of God. Agape love is selfless and it seeks the good of the other first. That's exactly how God loves us. God showed His Agape Love for us while we were yet sinners when Jesus Christ died for us (Romans 5:8). This is our example for how to walk in Agape Love. As a reminder, here again are the sixteen characteristics of Agape Love that we find in verses 4-8 of 1 Corinthians 13. When we find ourselves in moments of life when love isn’t easy, may we seek to live the tough moments of our relationships in the power of God's grace to walk in Agape Love. Agape Love does not envy. Agape Love does not boast. Agape Love is not arrogant. Agape Love is not rude. Agape Love does not insist its own way. Agape Love is not irritable. Agape Love is not resentful. Agape Love does not rejoice at wrongdoing. Agape Love rejoices with the truth. Agape Love bears all things. Agape Love believes all things. Agape Love hopes all things. 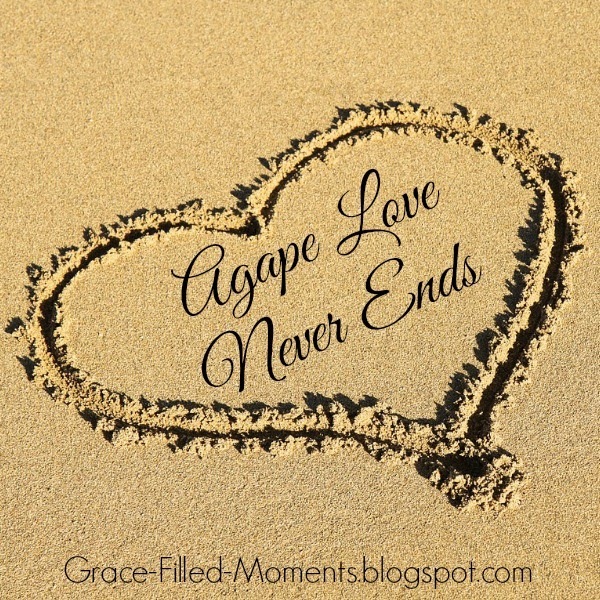 Agape Love endures all things. So let's be women who seek to worship God with the way we Agape Love in ALL of the relationships of our lives - as wives, as mothers, as sisters, as friends, as co-workers, etc.